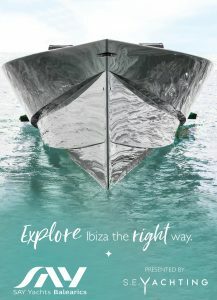 It´s this time of the year: The Countdown for the this year Ibiza Boatshow 2019 is on! 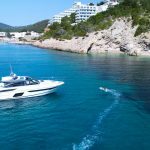 The event will be held at the same venue as last year in Marina Santa Eulalia and will be “the place to be” for three days for every boatfan. 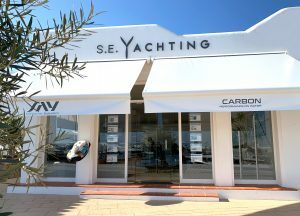 Our team from S.E.Yachting invites you to celebrate with us the premiere of the SAY 29R Carbon. Let us fascinate you with a demonstration of this unique concept of SAY Yachts. 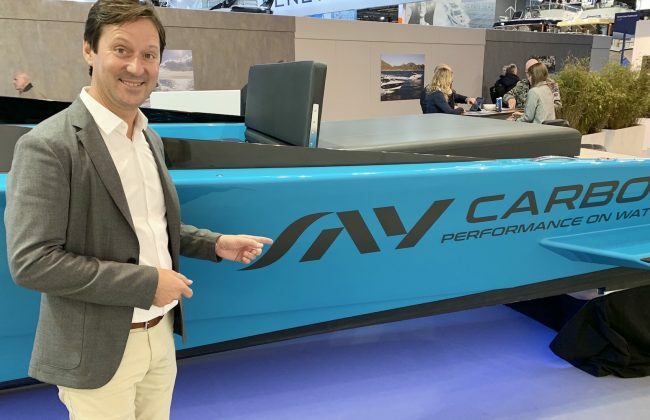 Thanks to its ultra light hull construction every Yacht is extremely stiff and lightweight and have a tensile strength comparable to steel while weighing only a fraction. Another great benefit: They extend range while lowering fuel consumption. 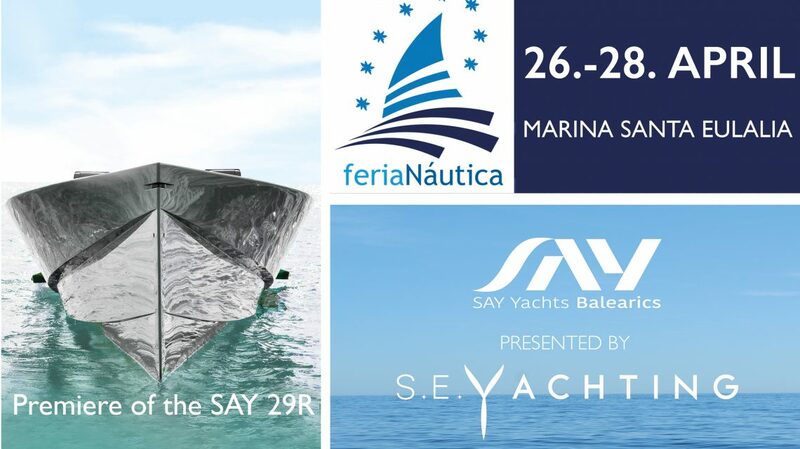 For us personally, this Boatshow is a premiere and a milestone: For the very first time we will welcome you as the exclusive dealers for SAY Yachts for the Balearics in Ibiza. 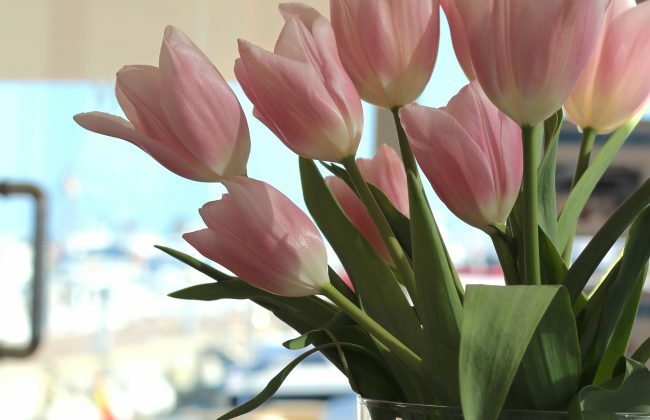 Gain valuable insight into our future projects for Marina Santa Eulalia in cooperation with S.E. Yachting regarding “lower-emission-boating” in Spain. We’re delighted to celebrate with you together a new chapter for S.E. 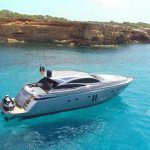 Yachting and to invite you to a sea trial on the SAY 29R. 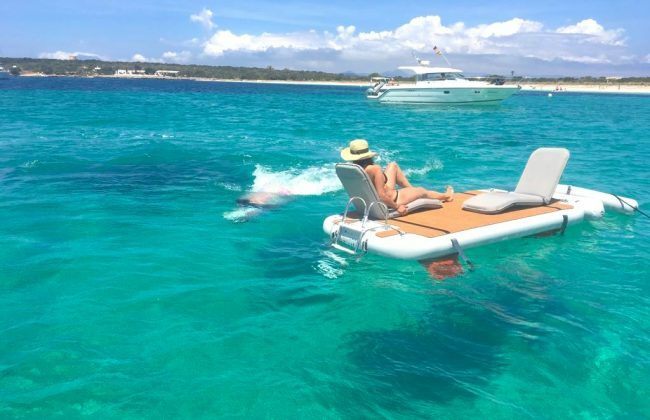 Of course you’ll have the possibility to get one (or two) of our NautiBuoy Platforms that extend your boat within minutes and give you the freedom to enjoy the unique Ibiza-Lifestyle literally at another level.